It’s 2014. Happy New Year! During the New Year celebration in New York City, a million or more people flocked in Times Square to watch the fancy ball drop and ring in the new year. It was reported that many people began waiting and standing in the streets in TImes Square starting around noontime, to get a good location to see the ball drop, the fireworks, and the rest of the show. That’s about 12 hours of waiting and standing in the cold! Was it worth it? In our recent trip to a theme park, it was so crowded as it was the holiday season. It was jam packed that we could hardly walk anywhere without pushing, shoving, or trampling somebody. It could rival a walk in Divisoria. And the lines to the attractions were ridiculously long that can push the limit of patience in any human being. In one popular ride of the park, our resolve was tested when we stood in line for it. We tried to get a *fast pass, but the time it gave us to return was close to midnight! 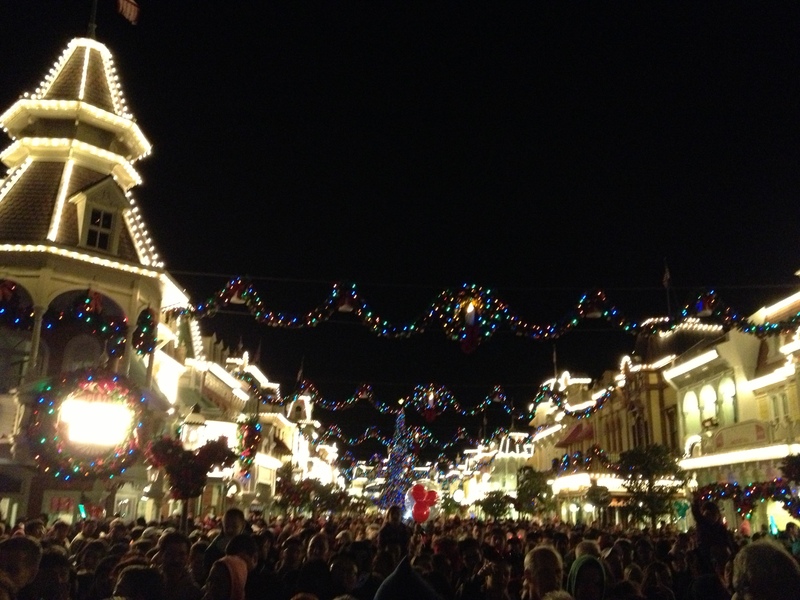 We may not even stay in the park by then, so we took our chances and waited in line. And we waited. And waited. The line was long and winding. On top of this, a long portion of the wait, we were cramped in a dark, enclosed place, with hardly any “personal” space. If the theme of that particular attraction was going to outer space, they were succesful in mimicking that environment, as I felt there was not enough atmospheric oxygen for me to breathe. Perhaps more people got dizzy and light-headed while waiting in line than in the ride itself. After standing in line for more than 2 hours, we finally got to experience the “thrilling” ride. All the 2 minutes of it. Yes, you read it right. A measly 2 minutes! Was it worth it? Our real life experiences though involves the humdrum of waiting in line. We stand in line for the bus or the train to take us places we want to go. We wait in line when we apply for a certificate, or a license or even for a job, so we can do things we want to do. We stand in line in stores or groceries so we can get things we like or need. In almost anything we do we wait in line. In truth we have even mastered the art and science of waiting in line. When you line for the check out counter, do you count how many people are lined up in the different lanes, or better yet even count how many items each person have in their grocery cart in front of you, to make sure you line up in the shortest and fastest lane? Guilty, huh? Then, there are people who wait in line for their destiny to come. Like princes and princesses, waiting for their moment of prominence. Prince Charles is standing in line, to be the next monarch for more than 60 years! And that is if his mother, the current queen, will not outlive him. Some even feel that he should give way the throne to his son, Prince William, who is younger and more popular. But that is a different issue in itself. What I am trying to say is this: in this life we wait for something grand to happen. Most of the time the wait is long, and the exciting event can be fleeting and short. Was it even worth it? I don’t know what you are standing in line for. Maybe for that dream job. Or for your special someone. Or for that memorable occasion. Or that fateful event. Or your appointment with destiny. I hope that this new year will bring in that event you are waiting for. And if not, just be patient. For I believe we are all destined for greatness. And it is worth the wait. When you arrived into our world and I held you for the first time, in a hospital room that overlooks the New York’s Central Park. When I danced with you in the middle of the night, as you would not sleep, while the Number 7 train roars from a distant track. When I pushed you on a swing, in a crowded playground in the middle of hustle and bustle of upper Manhattan. When you ran in your swimsuit on the grass, with the sprinkler on, as you gleefully soaked in water under Florida sun. When you played and dug in the dirt beside our apartment, with the nearby fragrant orange groves in sight. When I pushed your stroller as we walked in Downtown Disney, to watch the fireworks in the humid Orlando night. When you first stomped on the freshly fallen snow and scooped it up with your bare hands, in the dead of Des Moines winter. When you roamed in our yard picking dandelions, while the distant fields of corn swayed in the breeze of Midwest summer. When I held and steadied your bike as you first learn to ride, in the driveway of our home here in Iowa. It was like yesterday, that you came into my life, and I became a father. Where did time go? Now, I am a father of a teenager. Yes, a teenager! But’s that’s not a bad thing, in fact, it is a wonderful thing. My baby, is now a young lady. And I’m looking forward to more happiness you will bring.